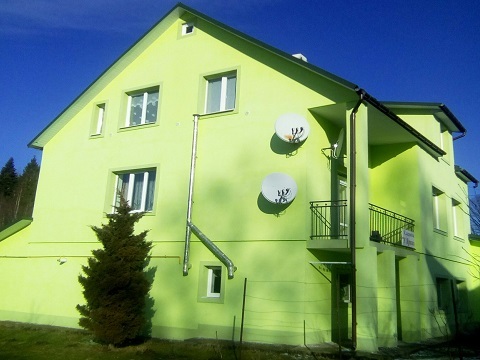 Inexpensive rest in Skhidnytsia in the mini hotel "At Yryna"
Inexpensive rest in Skhidnytsia in mini hotel "At Yaryna"
The rest house "At Yaryna" is located on the east side of the central road in Skhidnytsya wich is a well-known balneological resort. The ground road leads to the yard. 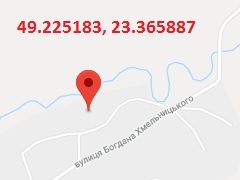 The springs of the mineral waters №№ 2s, 5, 6 are 300 m from the house, and 25, 26 are 700 meters. The closest cafes and food store is for 200-300 m .
The house constantly serves cold and hot water, uninterrupted power supply. B. Khmelnitsky Str., 11-A, Skhidnytsa settlement, Lviv oblast. It is possible to reach Skhidnytsy by bus departed from Lviv railway, bus station or Truskavets railway station. We invite you to have a rest in Skhidnitsy "At Yaryna" mini hotel! Skhidnitsa 2018. Mini hotel "At Yaryna"